Hālāwai and New York Outrigger are pleased to present Ben “Kaimana” Diamond on the Hawaiian Airlines Stage at the Liberty Festival in Hudson River Park’s Pier 26 as part of the 2013 Hawaiian Airlines Liberty Challenge on Saturday, June 22. Ben has been playing Hawaiian Slack Key since a chance listening at Tower Records in 1996. It was love at first sound. He has been playing guitar since 1981 and has studied Slack Key with Hal Kinnaman and Keola Beamer. 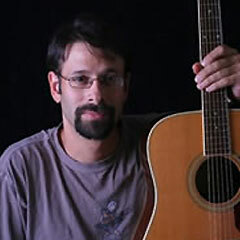 Ben has recorded six albums of Hawaiian Slack Key standards and slack-influenced original music. Ben is the Founder of the Long Island Hawaiian Slack Association, a non-profit group of Long Island-based Hawaiian slack key guitar players (lihsa.org). He is also a board member of the Long Island Fingerstyle Guitar Club and plays every second Wednesday of the month at the open mic (www.lifgc.com).